Every Sheaelegance handmade soap contains at least 6% of Shea Butter, making our soaps the perfect gift that wont break the bank! Find out why Shea Butter is an important element of our brand below. 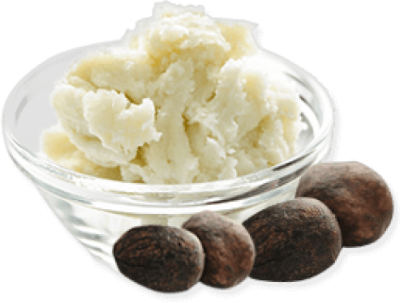 Shea butter is a fat extracted from the nut of the African shea tree (Vitellaria paradoxa). It is usually yellow in color when raw, with more processed versions being ivory or white in color. Shea butter is a triglyceride (fat) derived mainly from stearic acid and oleic acid. It is widely used in cosmetics as a moisturizer, salve or lotion. Shea butter is edible and is used in food preparation in some African countries. Occasionally, shea butter is mixed with other oils as a substitute for cocoa butter, although the taste is noticeably different. Shea butter is mainly used in the cosmetics industry for skin- and hair-related products (lip gloss, skin moisturizer creams and emulsions, and hair conditioners for dry and brittle hair). 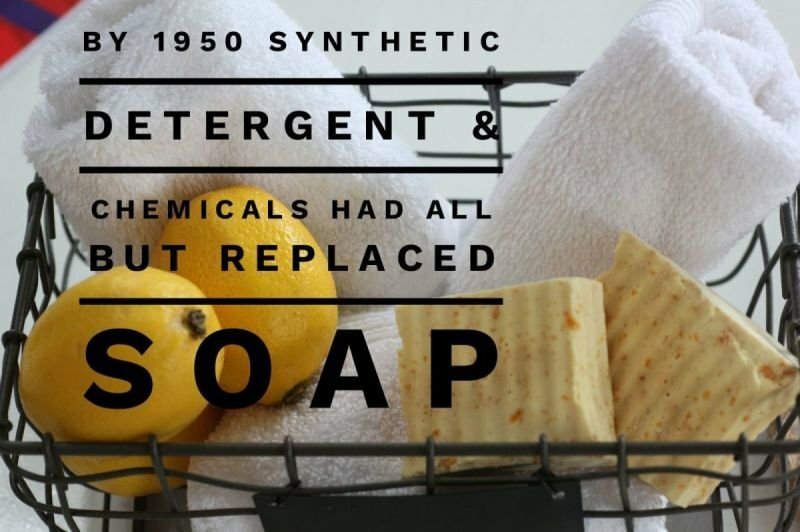 It is also used by soap makers and massage oil creators, typically in small amounts, because it has plenty of unsaponifiables, and higher amounts result in softer soaps that have less cleaning abilities. Some artisan soap makers use shea butter in amounts to 25% – with the European Union regulating the maximum use around 28%, but it is rarely the case in commercially produced soap due to its high cost compared to oils like palm oil or pomace (olive oil). It is an excellent emollient for dry skin. No evidence shows it is a cure, but it alleviates the pain associated with tightness and itching. The excitement of a natural aroma parcel! Every Handmade Soap enhanced with shea butter. Always created by hand - No mass machinery. Using the very best nature created to help you look after your skin. Unique fragrance blends not found elsewhere. Products you can trust from people who care. We are transparent - Got a question? Just ask. We have a processing time based on working days, this varies between 1 and 72 hours but we try to process orders as soon as we possibly can, most orders are dispatched within 48 hours Monday to Friday. Your delivery method selection does not include processing time and the delivery time proceeds as soon as your order has been updated to dispatched. Due to the nature of the products we sell, occasionally items can become damaged, 99% of damages occur when a Parcel has been delivered and there was no one home to accept it, parcels are then returned to the depot for a repeat delivery. We accept that not all customers will be home when their parcel is delivered but where you know that you probably won't be home we do ask that a neighbour's house number be provided for delivery stating a specific house number. We abide by the distance trading regulations and all details can be found on the DSR website. You are welcome to cancel your order within 14 days of placing the order for non custom items. Return costs are the responsibility of the customer and we will advise of the cheapest method for return. Parcels refused and returned with the courier will cost £12. We also abide by the goods of sale act 1979 and where we are at fault we will put things right. We do occasionally make mistakes and please do contact us where a parcel is damaged or part of the order is missing or incorrect and we will rectify the problem. Where a parcel is damaged between here and the first delivery attempt to your delivery address we will either replace or refund the damaged items and cover any costs for returns for damaged items. We do ask that parcels be opened carefully to prevent damage to items at the top of the box as we can not be held responsible for items damaged when packaging is being opened. In the event of a parcel leaking we ask that the parcel be opened in an area where damage can't occur to property. We will ask for photographs of the complete package and the damaged items. We cannot be held responsible where your address details are incorrect. Your information is copied to the printed postage labels, incorrect post codes and house numbers or missing details may not be detected, this causes parcels to be delayed or go missing. A return address is placed on every parcel that is dispatched and we will refund the cost of the item once the parcel has been returned to us. We do ask that you check your details very carefully before placing the order and your address details are visible several times throughout the payment and processing stage. The use of an incorrect email address will cause problems with email confirmation, delivery notices and we can not be held responsible for problems arising because we do not have the correct email address. As much information as is possible has been added to this site and where possible general cautions have been added, however it is never possible to cover all aspects of any product. It is advised before use of any product that you check sufficiently to find out if the particular product is suitable for use by yourself. We can not be held responsible for any adverse reactions from the use of any product sold on this site. As our products are all handmade, there maybe slight variations in colour shades. We aim to ship all products within 72 hours of receiving your order. If an order is urgent, please let us know and we will endeavor to ship sooner. Prices are subject to change without notice, however most of our prices remain stable. Currently, we are able to accept Visa, Mastercard and Paypal. All our electronic payments are handled either through Paypal. You can make credit card payments via Paypal without having a Paypal account. Payments made by Personal Cheque will not be shipped until funds have been received/cleared. Please make payment payable to 'Sheaelegance'. Please send to the address on the Contact Us page. If you issue a cheque that is returned by the bank, no other cheques will be accepted on future orders. Although payment by credit card or Paypal will still be accepted. You are welcome to to return the item in its unused condition and have 14 days in which to decide to return. We are not responsible for the return postage costs. Please email us and let us know your decision and we ask proof of postage is obtained. As soon as the item has been delivered to us we will issue a refund. We do ask that the return is made within 7 working days after you have notified us. Where a more expensive postage option has been selected for the outgoing shipping and where a cheaper option was available, the cheaper postage price will be refunded only. If a package is obviously damaged upon arrival we ask that you accept delivery as often outer packaging can be damaged but the contents undamaged. We will require photographs of the damage in order to place a claim/replace/ refund damaged items. Refusing a parcel which is not damaged internally will incur a return cost of £12 where the parcel is returned by the courier. There is usually no return costs where a parcel has been refused when being delivered by Royal Mail. All policies are subject to change without notice and we reserve the right to refuse service to anyone for any reason. These pages, items and photos are the intellectual property of 'Sheaelegance'.